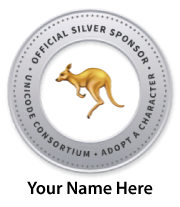 Version 12.0 of the Unicode Standard is now available, including the core specification, annexes, and data files. This version adds 554 characters, for a total of 137,929 characters. These additions include four new scripts, for a total of 150 scripts, as well as 61 new emoji characters. The Egyptian temple ceiling painting shown above (from the Wikipedia article on Medinet Habu) includes a line of hieroglyphic text. 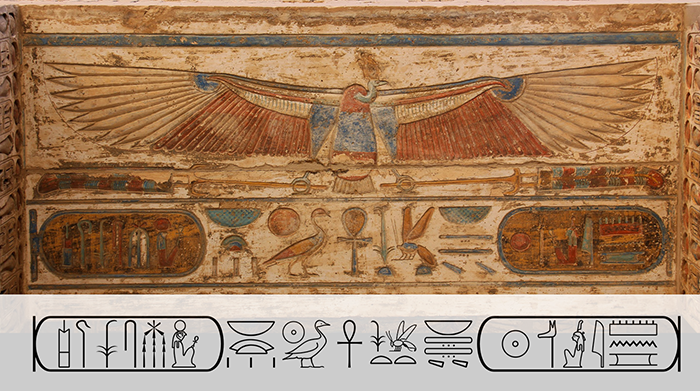 That exact text is rendered again below the painting, represented in Unicode plain text, illustrating the use of the new hieroglyphic format controls, as well as cartouche brackets and directional controls. The example was developed by Andrew Glass, based on Microsoft’s Segoe UI Historic font, with outlines designed by James P. Allen. For the full list of new emoji characters, see emoji additions for Unicode 12.0, and Emoji Counts. For a detailed description of support for emoji characters by the Unicode Standard, see UTS #51, Unicode Emoji. Version 12.0 also includes additional guidelines on gender and skin tone included in UTS #51 and data files. The Unicode Standard is the foundation for all modern software and communications around the world, including operating systems, browsers, laptops, and smart phones—plus the Internet and Web (URLs, HTML, XML, CSS, JSON, etc.). The Unicode Standard, its associated standards, and data form the foundation for CLDR and ICU releases.